This article provides a list of fields contained in the .tab delimited MSDS extract. Please Note: This is not a complete General Collection Extract. 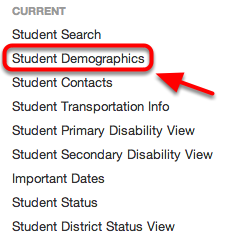 The .tab delimited extract ONLY contains special education related data. 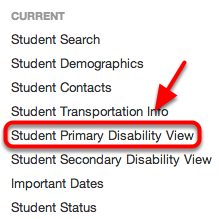 Field 36: Primary Disability - MSDS Characteristic Name - "Primary Disability"
Field 38: Date of IEP/Placement/Date of Implementation - MSDS Characteristic Name - "IEP Date"
Note: If the student has an Illuminate IEP, the system will automatically pull the FAPE Date as the Current IEP Date. 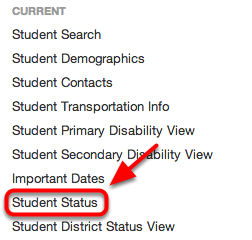 If the student does not have an Illuminate IEP, the extract will pull from the Important Dates Current IEP Date field. 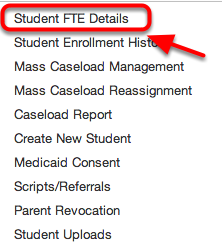 As long as providers are completing IEPs in the system, this field should not need manual intervention. Field 39a: Completion of Initial IEP (Timeliness of Initial IEP) - MSDS Characteristic Name - "Timeliness of Initial IEP"
Field 39b: Result of Initial IEP - MSDS Characteristic Name - "Result of Initial IEP"
Field 39c: School Days Beyond Evaluation and Completion of Initial IEP Timeline - MSDS Characteristic Name - "Days Beyond Timeline"
Parental Consent Date - MSDS Characteristic Name - "Date of Parental Consent"
Field 40: FTE in Section 52 (Membership) - MSDS Characteristic Name - "Section 52 FTE"
Field 41: FTE in Section 53 (Membership) - MSDS Characteristic Name - "Section 53 FTE"
General Education FTE - MSDS CHaracteristic Name - "General Education FTE"
Fields 42(a)(b)(c): Program Service Codes - MSDS Characteristic Name - "Program Service Code"
Fields 43(a)(b)(c)(d)(e): Support Service Service Codes - MSDS Characteristic Name - "Support Services"
Field 44: Primary Educational Setting - MSDS Characteristic Name - "Primary Educational Setting"
Field 45: Special Education Exit/Completion Reason - MSDS Characteristic Name - "Special Education Exit Reason"
The Special Education Exit/Completion Reason is determined dynamically based on the presence of an Ineligible IEP or a Parent Revocation created in Illuminate. 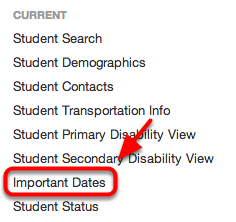 Field 46: Special Education Date Exited or Completed - MSDS Characteristic Name - "Special Education Exit Date"
Special Education Date Exited or Completed equals the primary disability end date. Field 50: Placement in District by Another District IEP - MSDS Characteristic Name - "Placed by Another District IEP"
This will cause the IEP to be flagged as Placement in a District by Another District IEP. 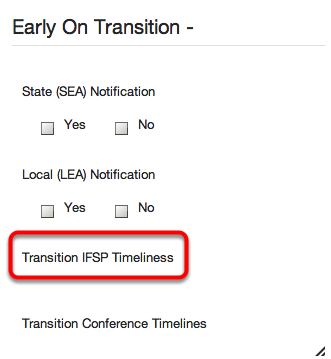 This field is not required for MSDS reporting purposes; however, it identifies if an IEP created during the count period contains transition goals. Assessment Tool - MSDS Characteristic Name - "Assessment Tool"
Entry Assessment Date - MSDS Characteristic Name - "Entry Assessment Date"
Exit Assessment Date - MSD Characteristic Name - "Exit Assessment Date"
Outcome 1A - MSDS Characteristic Name - "Outcome 1A"
Outcome 1B - MSDS Characteristic Name - "Outcome 1B"
Outcome 2A - MSDS Characteristic Name - "Outcome 2A"
Outcome 2B - MSDS Characteristic Name - "Outcome 2B"
Outcome 3A - MSDS Characteristic Name - "Outcome 3A"
Outcome 3B - MSDS Characteristic Name - "Outcome 3B"
Early On Transition Timeliness - MSDS Characteristic Name - "Transition IFSP"